It's usually a positive when houses are close to amenities - but there's close, and then there's CLOSE. 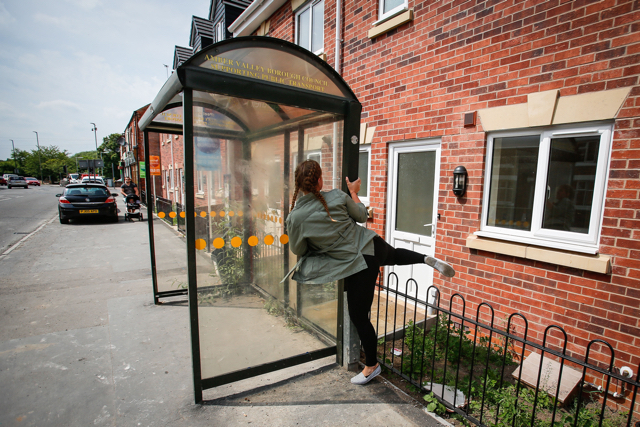 This new-build house has a front door that is completely blocked by a bus stop. The two-bed property, in Langley Mill, Derbyshire, is currently inaccessible at the front. The bonus? You'll never be late for work or miss your bus again (but you'd have to go out the back door). The shelter is still in use for the main route from Derby to Nottingham. According to the Daily Mail, local resident Julie Newing said: "I noticed it a couple of days ago and couldn't believe my eyes. "It's hysterical because anyone living in that house wouldn't even be able to catch a bus because the shelter blocks their path." Julie shared the picture on Facebook and users shared their funny comments. One wrote: "Nice little front garden, I'd be growing some tomatoes in there." The property is being sold through estate agents Burchell Edwards and is on the market at £140,000. 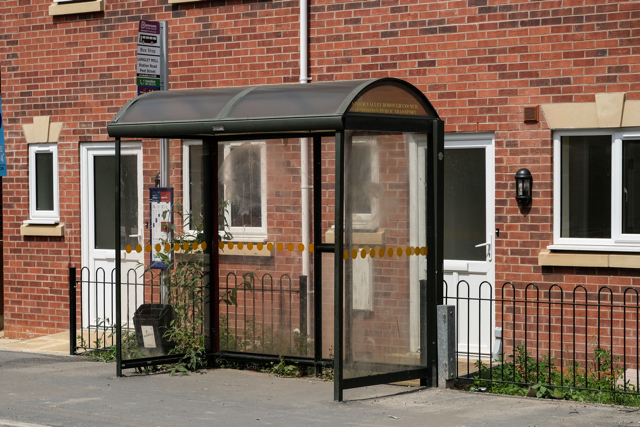 Speaking to the Nottingham Post, a spokesperson was quick to reassure potential buyers that the bus stop will soon be moved, saying: "It is in the process of being moved. "At the minute we only have keys for the back so people are viewing the property through the back entrance. "As we say, the bus shelter will be moved."